What does HVMN Ketone taste like? HVMN Ketone is the world’s first ketone ester drink, a sports drink for the serious athlete. The ketone ester itself dominates the flavor profile of the drink, providing a distinct and recognizable taste. 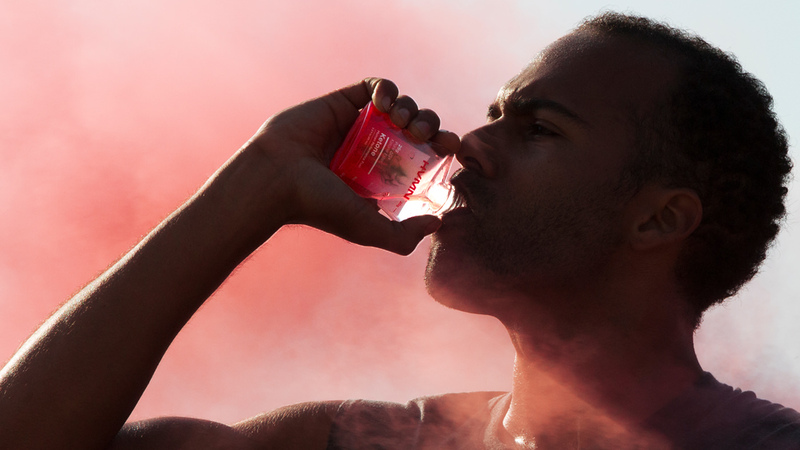 While individual opinions and responses to the drink differ, there is general agreement that HVMN Ketone has a strong, distinct flavor and can be said to “taste like it works.” Designed for in-field performance, and with a high concentration of the ketone ester, HVMN Ketone is not meant as a casual sipping drink. 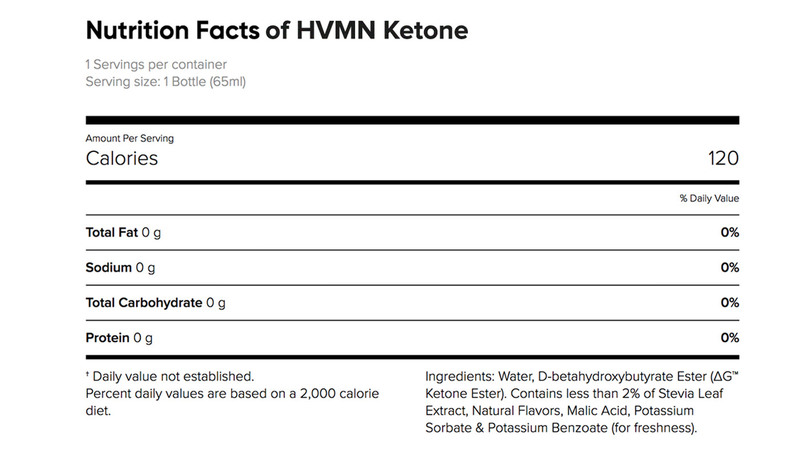 HVMN Ketone is a flat (non-carbonated) drink that tastes bitter, similar to a spirit, with berry and lemon notes and subtle sweetness. The flavor of the ketone ester itself is the dominant contributor to the overall “spirit” taste of the drink. What Contributes to The Taste of HVMN Ketone? When we set out to create the world’s first ketone ester drink, we wanted to make a product with no other nutritional components other than the ketone itself - this means no fats, proteins, or carbs. It was our goal to keep the product as pure as possible, and avoid the distraction of bold artificial flavors, colors and fanciful names - a la 'Blue Raspberry Blast' or 'Lemon Lime Ice Crush'. The amount of Ketone Ester within HVMN Ketone is 25g, yielding a 40% concentration of ketone ester, with water occupying most of the remaining 60%. This serving size and concentration are chosen to ensure efficacy and safety of the drink, while maintaining a compact format that allows for portability. After all, it’s meant to be taken on the go, in the field. HVMN Ketone is 40% ketone ester and 58% water, and rounding out the last 2%, we searched for only natural flavors that would work well with the taste of the ketone ester itself, landing on a fresh blend of berry and citrus. And to add a hint of sweetness without the calories or insulin response of sugar, we use only 98% Pure Rebaudioside A Stevia Leaf Extract. Because HVMN Ketone’s only caloric source is the ketones itself (no fat, carbs, protein), it can be added modularly to your diet without any confounding variables. You have the option to experience Ketone Esters without any other nutrition, or you can easily stack it alongside your existing regimen of nutrition (e.g. have HVMN Ketone and a banana before a run). HVMN Ketone is meant to be taken in conjunction with your current diet, so it can easily be added or mixed with the fuel sources you already use when exercising. We recommend you find mixes or pairings that work for you. It is also perfectly alright to take HVMN Ketone on its own. For athletic use pre- and mid- workout, we recommend taking HVMN Ketone along with carbs, as the dual presence of carbs and ketones creates the novel state that’s been shown to benefit performance. Post-workout, take it with your standard carbs and/or protein. HVMN Ketone can be added to electrolyte/carb drinks as well as protein shakes, or taken alongside solid foods. HVMN Ketone can be mixed with water or other liquids, though we do not recommend mixing with milk or dairy as it will cause curdling. The ketone ester within HVMN Ketone was initially developed at Oxford University and NIH. The research was funded by the US Military to design a new fuel for soldier performance on cognitively and physically demanding missions. Early samples were extremely bitter, as the initial priorities centered on production of the ester itself and conducting experiments. As the research produced interesting results, and gained increased attention and funding, much consideration began being paid to flavor, format, and other practical considerations. At various times in the research process, the ketone ester was served with added glucose (and other carbohydrates) for optimal fueling and performance. Researchers also created varieties with super strong artificial sweeteners and even a chocolate milkshake option. The taste, format, and concentration of HVMN Ketone have been developed over many years of research and development, and we continue to investigate ways to expand and update the product. We have our eyes open to new possibilities, and are always curious to hear requests and ideas.